Combines 20+ ingredients to ease joint discomfort and stiffness while optimizing performance. 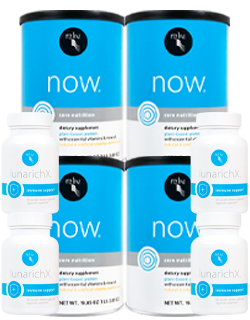 See the nutrition panel, product flyer and benefits. Provides a blend of soluble and insoluble fiber, antioxidants, enzymes and 21 herbs for optimal health. See the nutrition panel, product flyer and benefits. Innergize! increases energy, improves oxygen absorption and strengthens the immune system. See the lemon nutrition panel, orange nutrition panel, product flyer and benefits.